Each email survey has its own delivery settings for you to configure. An audience is the group of customers you'd like to send your survey to. 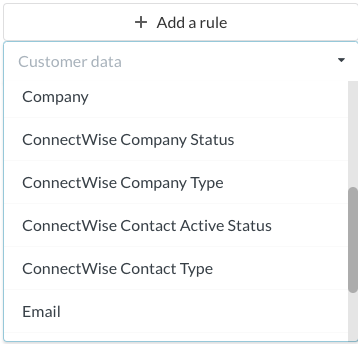 Audiences are created by adding rules to filter your existing customers. Note: You can import customers through the integrations available here. 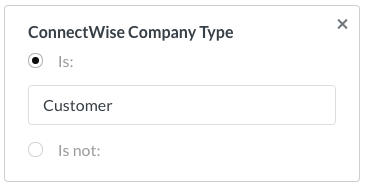 You can get the field values for any customer by searching for them by name or email address in the customers section. Click View matching customers to see a sample of up to 20 names in your list. 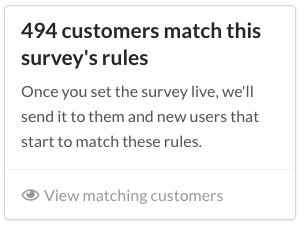 Here's where you can choose how often a customer will receive the survey. Select the days of the week and time of day that emails should be sent. Here are some useful stats on the best times to send emails.